In this post I will write a comprehensive review of the professional arranger keyboards of the three leading brands: KORG, Yamaha and Roland, following my own experience and recognition of almost all of the existing arranger keyboards in the market. In the post I will focus on four leading models: The PA700 and the PA1000 (replacing the PA600 and PA900 respectively), the Yamaha A3000 and the Roland EA-7. These are the leading most-selling arranger keyboards in the world. 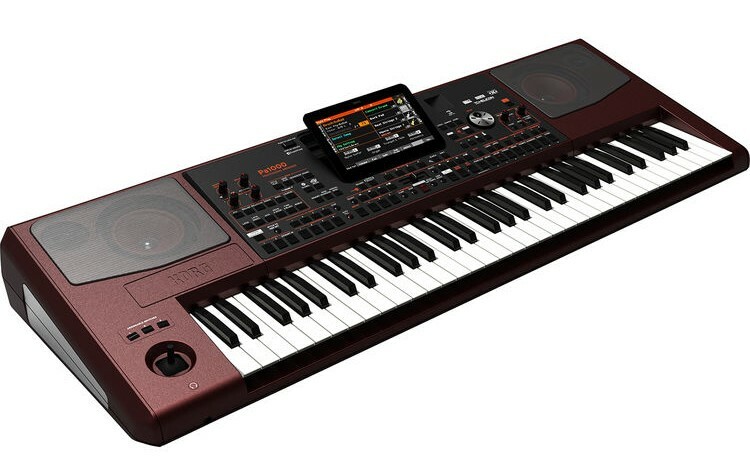 I will not review for details in this post the KORG PA4X and Genos of Yamaha, Tyros’ successor. Because they are more type of workstations and include capabilities that most of the keyboard players will not used. I would like to remind you that I am aware of all the advanced capabilities of each keyobard and I will mention in the review of the models what capabilities they lack in comparison with the above keyboards (workstations). 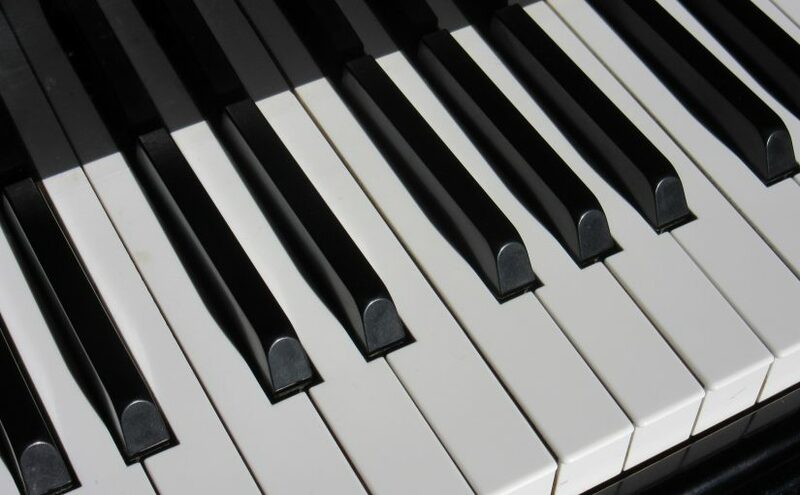 Before I begin with the review, remember that the basis of the keyboard is the piano and no matter what style you play, you must know piano playing. The combination of the keyboardist musical talent and the learning of the keyboard instrument that he plays, and the production of the maximum of its ability will lead to a good result. I started playing the piano, then moved to a Yamaha oriental keyobard with automatic accompaniment. I played the PSR-4600 and the PSR-64, which at the time were considered advanced but can’t be compared to the advanced arranger keyboards of today that have much more capabilities and also sounds better. Another thing that I would like to emphasize is that the keyboards are valued in accordance with their time, unlike instruments such as violin, guitar, piano, which for more than a hundred years sound the same, the keyboards are only getting better, and so are the sounds. My opinion that an old keyboard will no longer be relevant compared to a new one. In this case, there is still the minority of keyboardists who are really stubborn and still want to continue with the old fashioned sound of their old keyboards (not their Hammond organ sound, only the old keyboard accompaniment…) so they sample them and put them in their new tools. For example, Yamaha sampled for her users the old Yamaha PSR-62 to the new Yamaha A-3000. Among the keyboardists, it is customary to boast themselves with sets and samples that have been placed in their keyboard so much that their value has become almost half the cost of the instrument. Let’s start that set includes samples and rhythms, some of which also include intros, ends and fills. I personally think that today a good keyboardist needs to know the tool he plays and know how to program it himself. If a good keyboardist is not familiar with programming and knows the result he wants to reach but doesn’t know how to do it, it makes sense to pay for someone to create a unique set for him or buy rhythms and sounds as raw materials to create a personal set. The talent here is not just to play good but be original. If everyone is based on a set that someone will create as it is, what is the big difference and where is the uniqueness of each keyboard player? The priority is to chose an organ that will include a wide collection of sounds and samples. Even if there is a memory to add later, remember that the added sounds are not like those who come built-in in the organ itself, which often include a system that makes them sound more realistic like the dnc technology of Korg and those of competitors Yamaha and Roland. I emphasized this part of my post because most people will say that the korg has more sets (for Middle Eastern music, it seems to be true), while for Western music, Yamaha has more sets to offer. While Roland is based on the assumption that “hard to find sets for it,” I say, that’s not the index of choosing an arranger keyboard. Below I’ll add more words on the topic in each instrument that I review. The Korg PA700 is a replacement of the PA600. Just like its predecessor, the keyboard is marketed in two models: Standard and Oriental, which includes quarter-ton buttons on the left, oriental rhythms and sounds. It’s possible to perform quarter-tones using the screen in both of the models. There was a significant improvement in the PA600, the organ is more massive, the keys are higher quality (although they are not semi-weighted), the software interface is more user-friendly, and most importantly, there is a significant improvement in the overall sound of the instrument. The initial impression is good. The organ includes a large 7-inch touch screen similar to PA4X model. There is an improvement in the speakers and they are higher quality than those in the PA600. The PA1000 is a replacement of the PA900, even here like to its predecessor, there is no oriental version of the instrument and the quarter tones possible to apply through the screen. The PA1000 features more features than the PA700, including: aftertouch, vocal harmony, advanced sampler, higher-quality speakers, 2GB of built-in sounds compared to 1GB on the PA700. In the PA1000 the keys are semi-weighted and feel like they put the same keys in the PA900. The keys are not as high quality as those on the PA4X. Those who went out to play the instrument and compare them at the same time will see that there are quite a few sounds that doesn’t exist in the PA700. For example, the PA1000 includes 100 sounds of dnc while the PA700 only contains 81 sounds and so for the multi-samples, 995 in the PA1000 versus 818 in the PA700. In the PA1000 there are 1981 drum samples compared to 1657 samples in the PA700. The most critical is the dnc samples which can not be added to the instrument later, so it is a significant consideration for anyone who is deliberating between the two instruments. Another example of the PA1000 is the multi-layered stereo piano sample and the PA700 only has one layer. Some users have reported bugs in the software, sometimes the organ gets stuck and needs to be restarted. I believe that software updates can resolve / fix the issue. The PA4X is significantly more expensive than the PA1000 and is suitable only for users who understand the advanced features they lack in other arranger keyboard instruments. The PA4X has physical sliders on top of the keyboard, starting with the fact that the PA4X comes without built-in speakers and you have to purchase a speaker for it. From listening to the PA4X with the external speaker and the PA1000, the PA4X’s external speaker sounds louder and more powerful. Although the PA4X has 4 outputs (right, left, drums and bass), in pa system it does’nt show a big difference between them and I alsocan mention that the styles in the PA1000 are more updated and sound better. As one who has been faithful to Yamaha for many years and at the time impressed by their previous PSR insturments: A1000 and A2000 with an emphasis on the oriental styles and sounds they contained. The A3000 is the new replacement in the series. I was enthusiastic about this organ for a very short period of time when compared to the PA600, which I didn’t like at all, until I was persuaded to try the Roland and the new Korg models and today I have an opinion on Yamaha. I think its design is rather clumsy for its time and also in weight its heavy. Playing with the keyboard for a long time is also disappointing and gives a feeling of cheap plastic. In terms of sound, after playing and listening for a long time, it seems that there is no balance between the styles and sounds by default. The organ requires a lot of programming and improvements to make good results and I know those who did it and the instrument sounds very high level but it takes time and preoccupation and required to do so in any keyboard instrument as I will note at the end of the post. The S975 is a Western organ, replacing the predecessor of the S970 and its eastern parallel is the A3000 I reviewed above. The new keyboard includes two new main features that are half-fill made by foot and Mono Legato effect. The advantages over the A3000 include vocal harmony and more memory for styles. Yamaha improved a few sounds and styles in the instrument, but not a significant upgrade from his predecessor. At least not that I felt in the my first impression from this instrument. 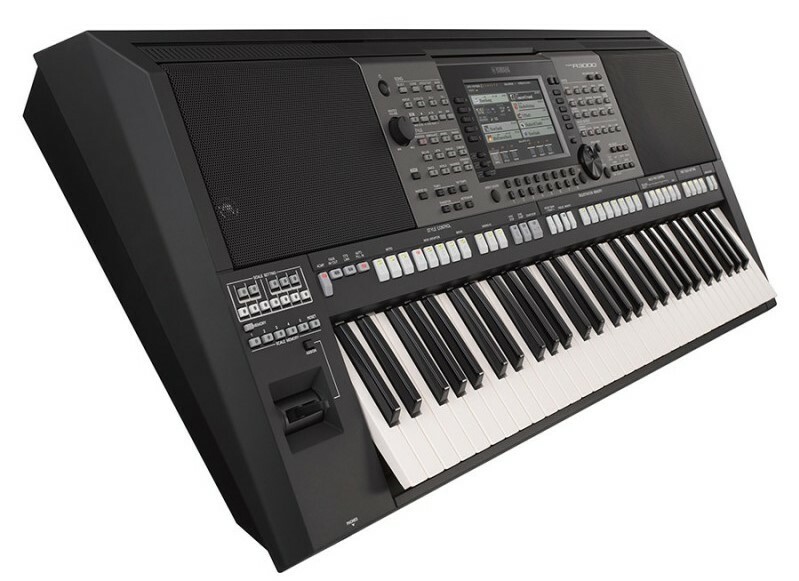 Genos of Yamaha is the replacement of Tyros and competes in Korg PA4X. The design looks spectacular, a large and impressive screen that allows you to use buttons or the touch screen. From my impressions of the instrument, I was disappointed to discover that the sampler requires to work with separate software on the computer. It’s not clear how Yamaha engineers designed such a thing in an organ that should be considered a workstation. This is the Roland EA-7. In my initial impression of the instrument, it seems strange that they have decided to put two screens on it, but today I can say that this is brilliant human engineering. On the right side are the sounds, on the center the mixers slides, while the left side contains the styles. The screens work in sync with each other. There is order and comfort here. Although the Roland EA7 does not have a touch screen, the buttons and their arrangement on top of the tool along with the lighting, offer the most user friendly interface available. 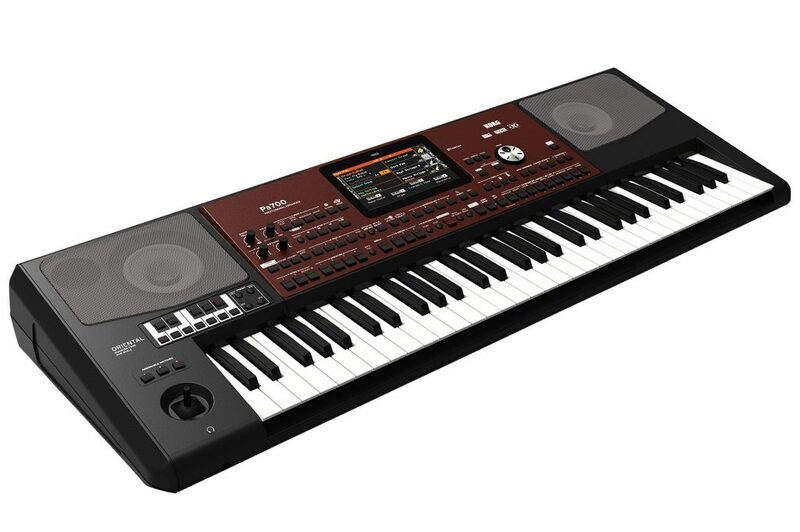 Yes yes, it may be a personal opinion but think how long I had to convince myself to move to this keyboard from the Yamaha A3000 and I feel that I made the right choice. The keys are shorter than most of the organs in a few millimeters but you will not notice the difference and and few will pay attention to it, their width is standard. I expected low quality but to my surprise, they feel great. Their quality is very high compared to other organs, especially the PA600, making it feel cheap and unprofessional, and they do not have the flutter and freeness of Yamaha A3000. His buttons and sliders also feel great. The sliders are very sensitive to any movement with great precision. The buttons are flat and have a good touch feel, especially for someone like me who uses it for at least half a day each day. The word that best describes it is a sampler. Because it is one of the great advantages of this tool which is an excellent sampler. Its sound is very good in pa systems, powerful and includes high-quality converters despite the light weight of the instrument. I was really pleasantly surprised. Its main advantages are light weight, powerful speakers, sampler, playback pads with synchronization capability, quarter-tones on buttons rather than screen, wide range of sounds of all types and styles, built-in media player with recording capability and more. His drawbacks have no vocal harmony, I personally don’t need it even though possible to plug in a microphone with some good effects. There is no guitar mode, which existed in other models of Roland. There is no aftertouch, which is a pity and could add to the capabilities of the keyboard. And a significant thing missing is that there is no sequencer and I don’t know why Roland didn’t think of introducing this important feature, however the arrangement of the user’s programs allows me to make up for it and doesn’t take any of the abilities out of me. I was surprised by the amount of sounds and styles that were put into it, beyond the Westerners from the Middle East and the Arab countries, but they lacked the Greek styles. I also program the rhythms myself and work on my own Greek set for the instrument that will be sold soon. In summary: Which arranger keyboard to choose? This can be an opinion according to your style and your impression of each keyboard. I personally chose the Roland EA7 and I think today is the best organ that exists for me. Take into account that there is nothing perfect and every keyboard instrument has its drawbacks and advantages but has the keyboard that suits you best and me personally today Roland is the best of all the existing organs in the market. There were several reasons why I didn’t choose Korg. The Roland suited me in terms of its capabilities as I have already mentioned and also liked the possibility of keeping user programs with easy access, it is a huge compensation for the capabilities of the Korg’s Sequencer. Moreover, when I compared the PA700 to the PA1000 in terms of the built-in dnc sounds, there are quite a few missing sounds and a particularly large gap with PA4X. Korg could add them to both the PA700 and the PA1000 without raising the price of production, but apparently chose not to do so from marketing considerations. And why did not I choose the PA1000? He has semi-weighted keys that I prefer less. In addition, it doesn’t have a slider for real-time control of the mix as there is in the PA4X and the Roland here has a great advantage with the quality slider that gives full control and convenient in real time. The E-A7 has a wonderful sound, its keys feel great and one of its great advantages for me is its light weight. It has everything I need and it satisfies me for now and for the near future. All the arranger keyobards that I mentioned in this post are professional instruments that require recognition of their abilities, programming and personalization in the taste and character of each keyboard player. There is nokeyboard that comes perfect, it takes a lot of programming and dealing with features like EQ, Effects, Compressor etc. to reach a high quality level. The Roland BK-9 is already discontinued. I will recommend you to choose the newer replacment EA-7 if it has the features that suit to all your needs.